Add fun to your Christmas party with this inflatable ring toss game. Great inflatable fun game for all the family! 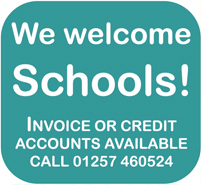 Easy to inflate and deflate, and can be used year after year! Simply inflate and play by standing the same distance away, taking it in turns to try to get the hoop and win the game. Comes with 4 inflatable rings and 1 inflateable Antler hat. 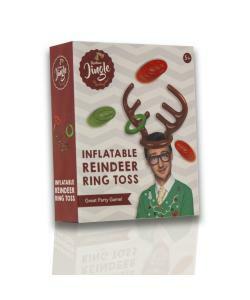 Whether playing for fun or holiday party prizes, this fun inflateable Reindeer Ring Toss game will have everyone laughing! Inflate the head gear, place it onto your head, inflate rings and enjoy the fun! Visit our Clearance Toys for a fantastic selection of brands and product, all at great prices.